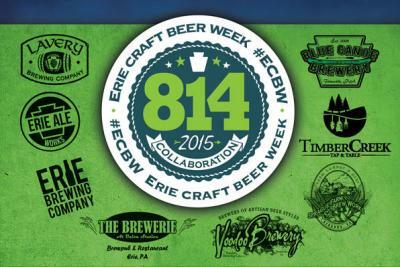 Last week was the inaugural Erie Craft Beer Week. The weeklong event paralleled American Craft Beer Week, however, the ECBW celebrated northwest Pennsylvania's best craft brewers. Last Wednesday, ECBW partners released the first 814 Collaboration Ale, an India Pear Ale. If you're a fan of locally brewed craft beer, you know that the industry has its share of critics, most of whom lurk in the shadows of social media to throw bombs at the brewers matching new blends and building new brands in Erie's backyard. To celebrate their critics, local craft brewers held a meet and tweet event at The Brewerie at Union Station on Saturday, May 16. Those in attendance got to sample the nectors of the local craft brewing gods while they listened to the brewers, themselves, read mean tweets from their consumers. Over the next few days, we'll bring those tweet readings to you one brewer at a time. Next up, Blue Canoe Brewery. Slainte!